Zhoozhitzu do Graugardo: The road to London: Week 2. The road to London: Week 2. My body felt really tired from the first week of training, but I did also start out with six days of rolling in one week, so maybe it was my own fault. This week, I have been training five days and sitting here on Sunday, relaxing at home, I feel surprisingly well. I have experimented a bit with different sleeping positions, since I usually have a lot of pain in my back in the mornings and I think it has made a difference for me. Thursday, I jumped in on the MMA competition class and rolled with the guys there for the first time in years. Competing in the No-gi Europeans in November, I miss a little of the raw, wrestling based pressure I get more there than in my regular gi-training. It was fun to grapple with strikes again and I will definitely try and do it regularly again, just to broaden my training a bit. 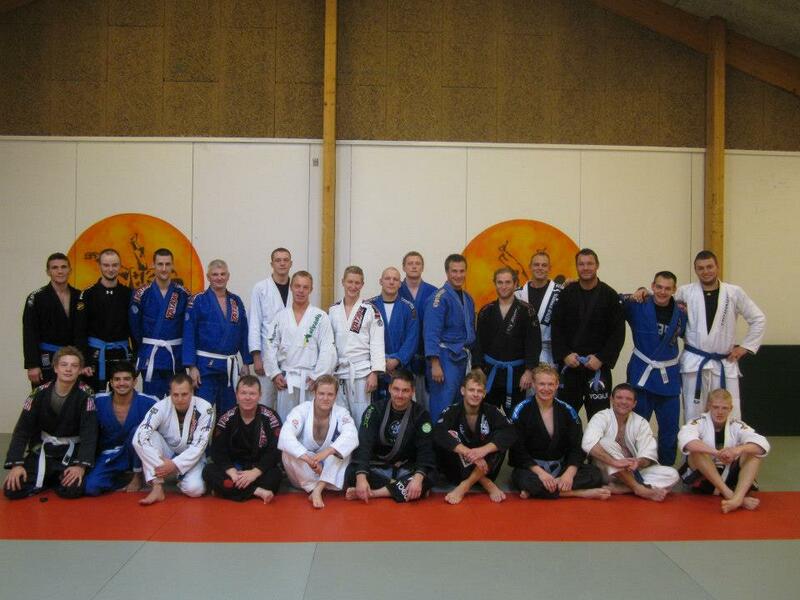 Saturday, I taught a seminar in Odense, a city about an hour and a half away from where I live. There was around 25 people there and afterwards, we had a three hour long open mat sparring session, so I really got to roll with lots of different people, which was great. The road to London: Week 1.